Dmitry is the Founder of Grishin Robotics, a $100M VC fund focused on smart hardware, robotics & IoT (http://grishinrobotics.com/). 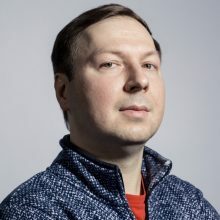 Dmitry is MIT Technology Review’s Innovator under 35, co-founder and Chairman of Board at the Mail.Ru Group* company, which he took public on the London Stock Exchange in 2010. Head of the department of Information Technologies and Programming at St. Petersburg State University of Information Technologies, Mechanics, and Optics. Founder of the Russian Code Cup – the largest competition for programmers in Eastern Europe. Graduated with distinction from the Faculty of Robotics and Complex Automation at Moscow State Technical University. *Mail.Ru Group’s sites reach approximately 86% of the Russian-speaking Internet users on a monthly basis, and the Company is one of the five largest Internet sites, based on the number of total pages viewed (comScore, March 2013).